Dogs, they have truly earned their title of man's best friend. We must ask, is it simply because they often do the things we wished we had the nerve to? Admit it. We envy the way they live their lives! 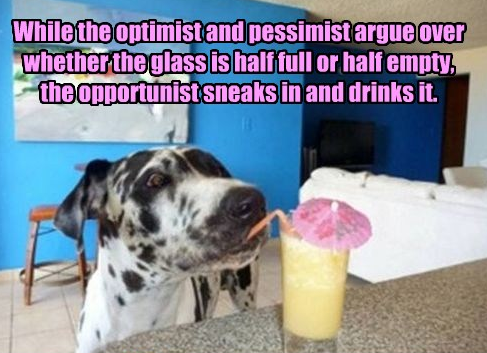 Yes I am an opportunist! This is why people just love dogs! When you get the chance to live with dog loving people…it’s the best thing on earth!